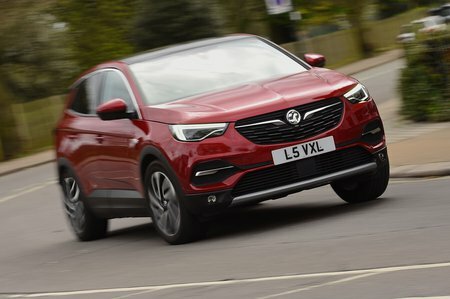 Vauxhall Grandland X 2.0 Turbo D Ultimate 5dr Auto 2019 Review | What Car? What Car? will save you at least £3,408, but our approved dealers could save you even more. Ultimate comes packed with every optional extra Vauxhall offers, featuring heated rear seats, a heated steering wheel, wireless mobile phone charging, a Denon premium sound system, a 360deg panoramic camera, premium LED adaptive forward lighting and adaptive cruise control with pedestrian detection.